David reveals the inner workings of unseen social work done by True Spiritual practitioners. These Spiritual Practitioners co-operate with the Higher Intelligences to help in times of crisis. And sometimes to try avert crisis from manifesting on Earth. But there’s a way normal people can help support efforts to help the recently dead and those affected by natural disaster and terror. Hear David Goddard share more about what it means to be a Servant of the Light. 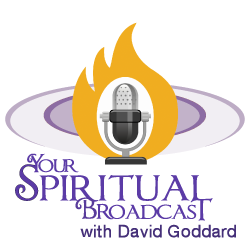 Please subscribe and rate Your Spiritual Broadcast. YSB36 – Who is Paul Foster Case?